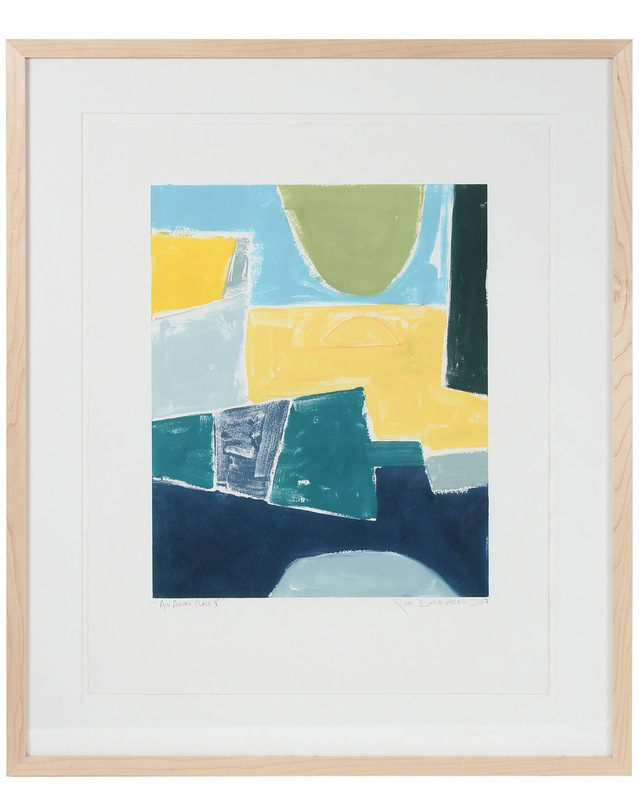 "An Azure Place III" by Rob Delamater&quot;An Azure Place III&quot; by Rob Delamater, alt="&quot;An Azure Place III&quot; by Rob Delamater, "
Monotype on paper, contemporary frame. Entitled, "An Azure Place III", this monotype on paper abstract is by San Francisco artist and Lost Art Salon co-owner Rob Delamater (b.1966). Delamater creates abstract compositions that evoke organic shapes and motifs from the natural world. His works are created using various forms of printmaking, painting, and collage. Signed, dated, and titled at bottom. 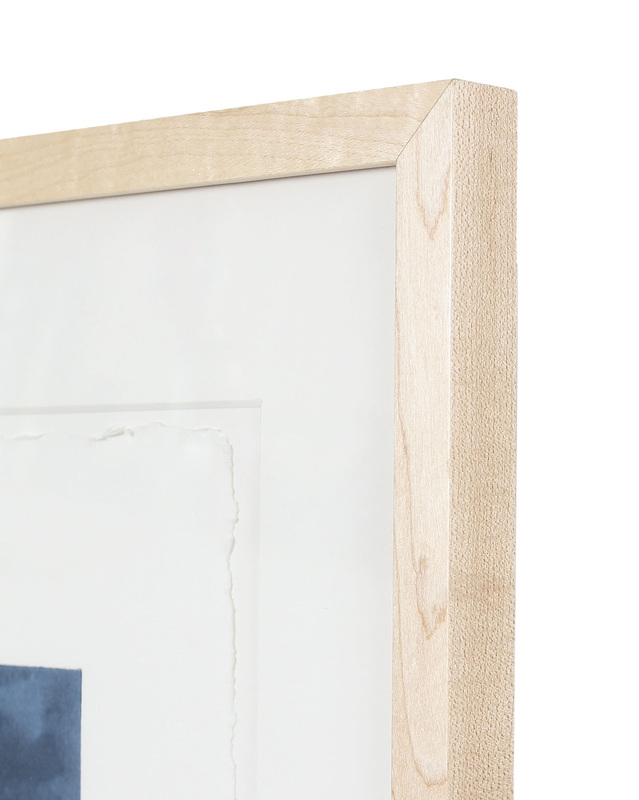 Framed in a contemporary maple wood frame using white museum-style matting behind clear conservation glass. Overall Dimensions: 20.5" x 24.75"